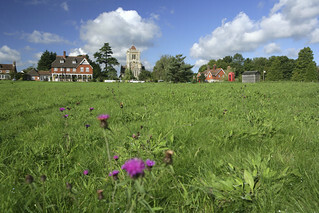 Harrietsham has been a longstanding settlement, taking advantage of the spring line on the lower slopes of the Downs. Archaeologists have uncovered evidence of Bronze Age, Iron Age, Roman and Saxon activities in the area. 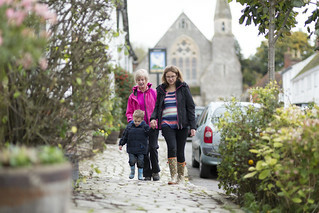 Mentioned in the Domesday Book, Harrietsham stands on a wide range of routes, ranging from the historic Pilgrims Way, to the more recent arrivals of the railway and the M20. The steep climb up the slopes of the North Downs is rewarded by the opportunity for a few minutes rest at one of the county’s most famous public houses – The Ringlestone Inn. Now owned by the Kent brewer Shepherd Neame, the Ringlestone Inn was originally built as a hospice or sanctuary for monks in the 16th century. The monks were probably farming in the area, but left after the dissolution of the monasteries. The building still retains many features from its long history, not least an inglenook fireplace to welcome travellers after a long day walking or cycling in the area. Interest in the long history of the public house has led to many tales of highwaymen, smugglers and ghosts. From the station car park, cross the footbridge and turn right to follow the path alongside the railway line. Pass through gap in fence line and continue on the path uphill. A short distance on, cross over a road and continue uphill. Continue past a gate until you reach a junction with the North Downs Way/Pilgrims Way and turn left. When you reach a stile in the hedgerow on your left, cross the stile and turn immediately right, continuing along the hedgeline. At the end of the hedgerow, cross the stile and head towards a gate to the right of the farm buildings. Pass through this gate and continue ahead over another stile. Follow path through the farmyard. On reaching a stile on your left, cross over and follow the path across the field towards 2 tall trees ahead. On reaching a road, go over stile and cross the road. On the other side cross another stile and continue ahead with the woodland on your right hand side. When you reach a gate on your right hand side, bear left across the field to a waymarker sign on the other side, at this waymarker turn right. Cross a stile and continue ahead until you reach the Ringlestone Pub on your left hand side. Here you can either stop for a well earned break or continue on your walk by turning right and crossing back across the field towards the telegraph pole and a stile. Cross over stile and continue across the field towards another stile in the fenceline. Go over stile and follow the path to the right and through some woods. Keep following the waymarkers until you reach a stile in the fenceline. Cross stile and follow the path bearing left across the field. Go over stile, cross the road and then over another stile to continue ahead on the path. A short distance on, cross another stile and follow the field edge with a hedge on your right hand side. 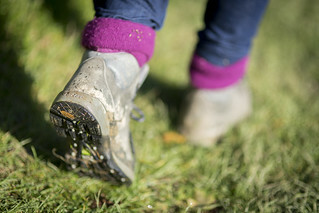 Pass through a gate, cross a stile and follow the path across the field towards a large tree. Follow the path to a stile in the corner of the field at road. Cross the road, over another stile and bear left. Head across field towards 2 trees and the corner of a wood. Cross a stile in the corner and follow the path to cross another 2 stiles. Turn left and follow the fence. Near the telegraph pole, turn right and head downhill towards the buildings in the distance. Cross a stile in the fenceline and head across the field, to left of telegraph pole. On reaching a fenced area, follow path along fence on the left until you reach a stile on your left. At this point bear right to follow path uphill to a stile near the road. Cross the stile, go down steps and turn right to follow the Pilgrims Way. On reaching a crossroads continue straight ahead along the North Downs Way/ Pilgrims Way. Turn left and re-trace your steps back to Harrietsham station where you started. 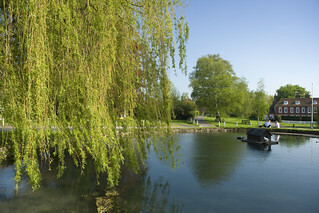 This 5 mile scenic walk starts in the village of East Malling and follows a largely flat route through orchards and woodland. 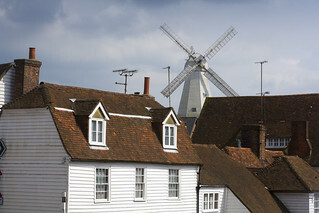 The walk also offers some fine views of the North Downs along the way. 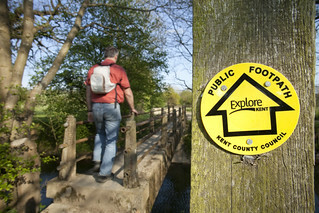 This circular walk is an excellent start to exploring the south west corner of Kent, heading out into the countryside from the historic town of Edenbridge. The quiet village of Horsmonden, surrounded by orchards and thriving farms, was once an industrial centre for the Weald, with its key industries including iron working and gun manufacture. 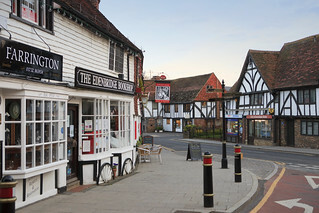 Find yourself marvelling at the planets in one of Kent's most attractive villages with thriving inns, restaurants and independent shops. 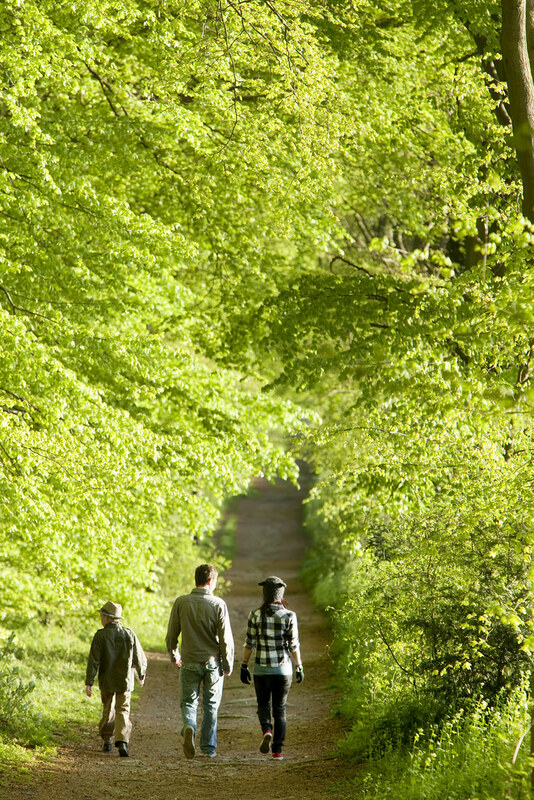 Enjoy classic views of the Weald of Kent on this varied and peaceful walk through charming woodland and gentle field paths following part of the popular Greensand Way. 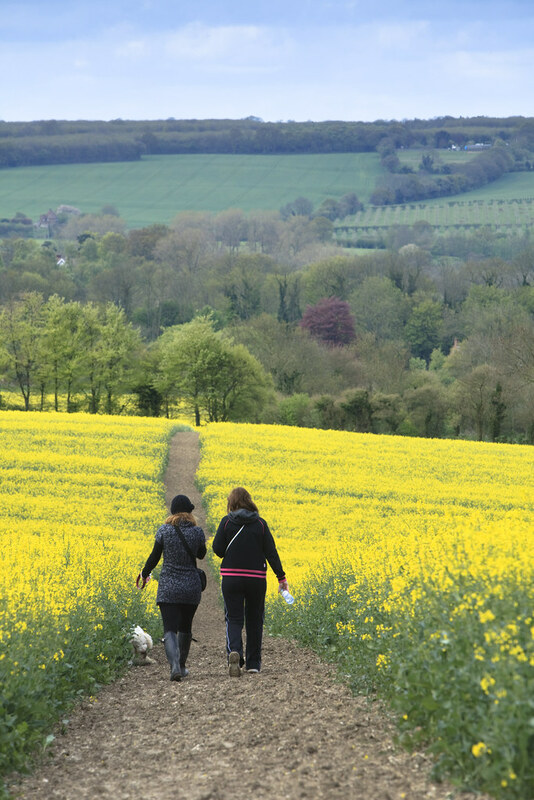 Enjoy wonderful views over the Weald and the Vale of Kent along this gentle walk from our West Kent Walks pack.